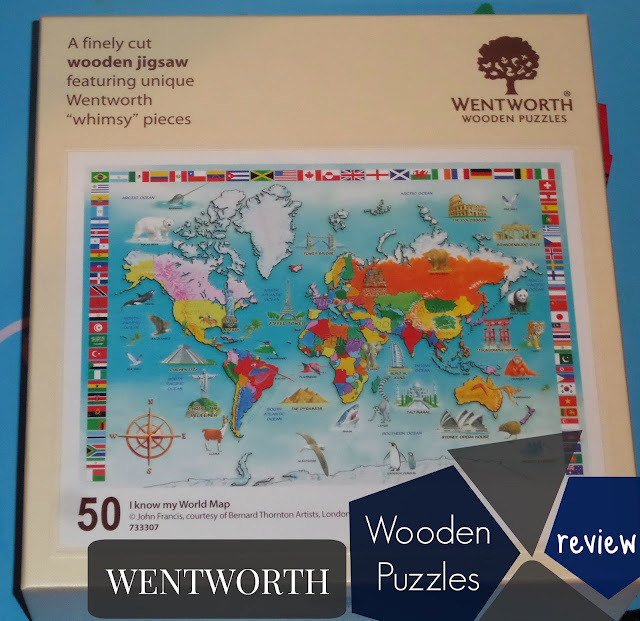 Where Roots And Wings Entwine: I Know My World Map Jigsaw Puzzle – Wentworth Wooden Puzzles review. I Know My World Map Jigsaw Puzzle – Wentworth Wooden Puzzles review. I love jigsaw puzzles. As I have enjoyed completing jigsaws from a young age and believe that they are good for children’s development and learning I love that Bug shares my passion for jigsaws. 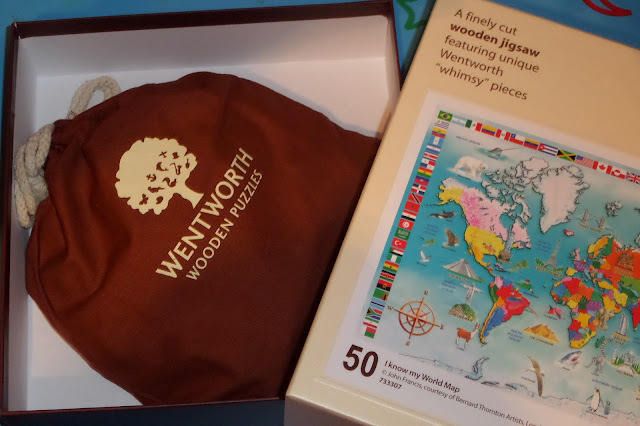 As I believe puzzles are brilliant for children’s cognitive development and Bug loves putting a jigsaw together I was delighted when Wentworth Wooden Puzzles sent him a new jigsaw puzzle. 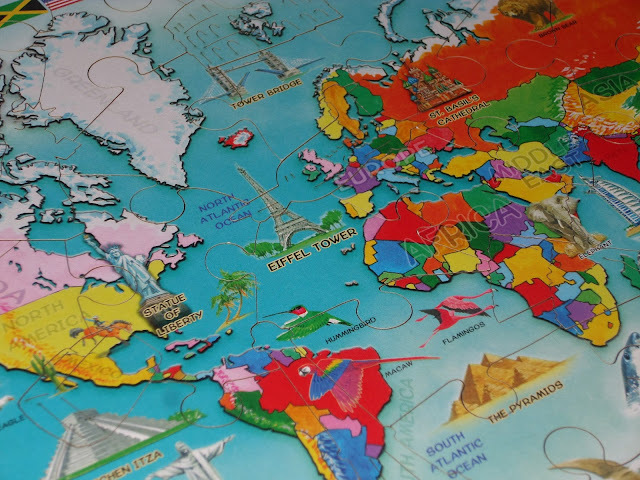 The I Know My World Map Jigsaw Puzzle features a world map design that has been created to be both fun and educational for children. The puzzle comes in a lovely high-quality and sturdy box that represents superb quality. 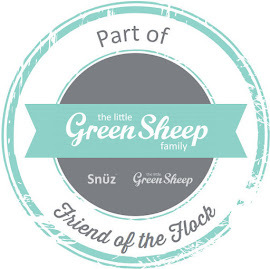 As well as the presentation box that thanks to its quality and durability will last well for storing the puzzle, the puzzle pieces come in an upmarket cloth storage bag to keep all the puzzle pieces stored safely in. 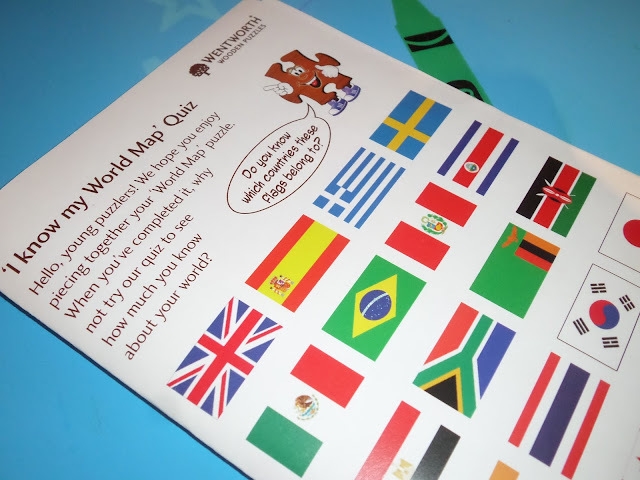 For added educational benefit the puzzle comes with a fun quiz sheet to help children learn more about the world. Unlike most jigsaw puzzles which are normally made from cardboard the Wentworth puzzle is made from 100% sustainably sourced wood. 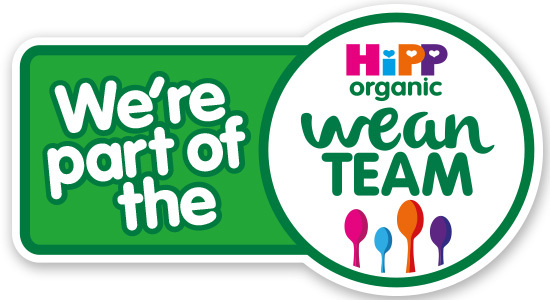 Made in the UK the wooden puzzle pieces are very durable and strong, being 3mm in thickness. The jigsaw puzzles are all unique with no two pieces the same. A number of the puzzle pieces are unique, whimsical shapes that relate to the puzzle’s design. 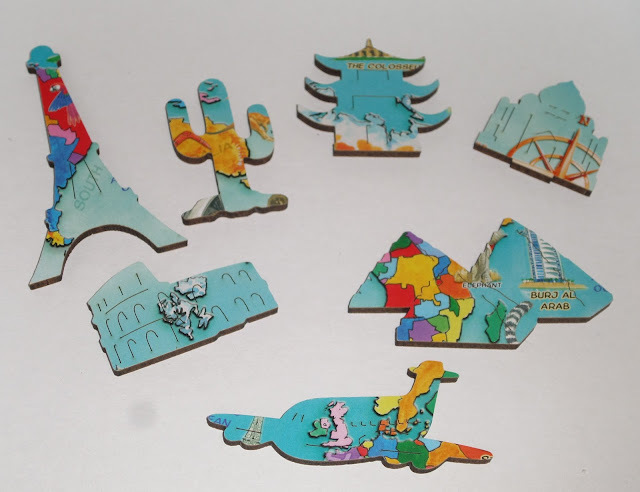 Bug loves the fun puzzle pieces and the unique shapes such as the Eiffel Tower, Aeroplane and Statue of Liberty not only add a fun element but also added educational benefits as they inspire further learning about the World and the landmarks, icons and elements within it. The puzzle we were sent is a 50 piece puzzle which measures 36cm x 25 cm (other sizes are available in this design a 100 piece puzzle and a 250 piece puzzle). I love the premium quality of the puzzle. 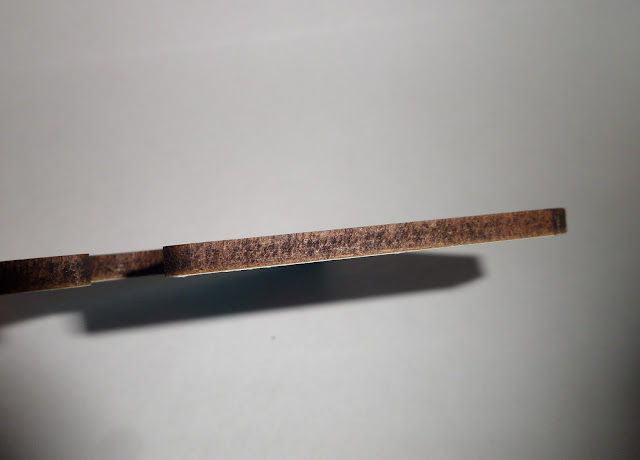 Thanks to the high quality wood I believe that the wooden puzzle pieces will withstand years of love and use. The world map illustration is lovely. 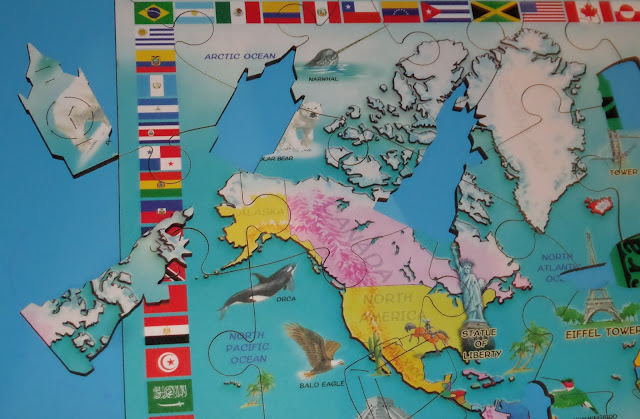 Along with the world map the puzzle features iconic structures of the World and animals which are appealing to children and spark interest for learning. I love that the unique puzzle pieces especially the unconventional, whimsy pieces test Bug and make the puzzle a little harder to complete which challenges his skills, encouraging his cognitive development. Also as the puzzle is a little more challenge than normal puzzle design’s he feels extra proud when he completes it giving him a sense of satisfaction and pride. 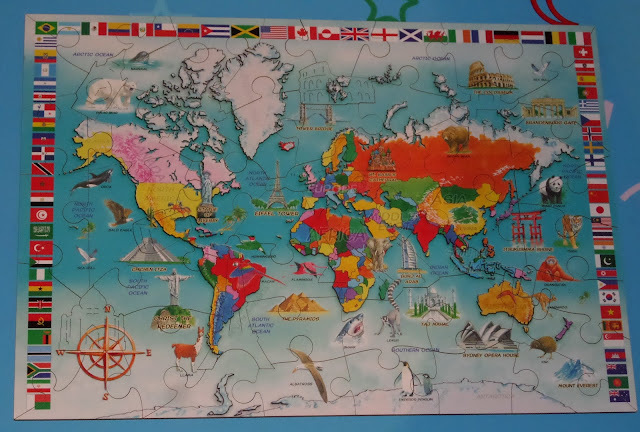 I love that not only does the puzzle help Bug cognitive development, improves his hand-eye co-0rdination, fine tune his fine motor skills, helps his problem solving skills and enhance his memory, thanks to the world map theme with iconic world landmarks, animals and flags he will learn about the world. 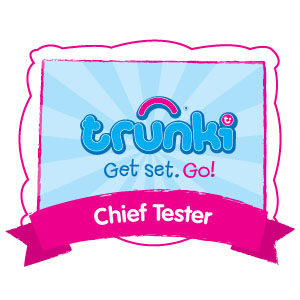 Also thanks to the unique and quirky puzzle pieces his shape recognition skills will be stimulated. 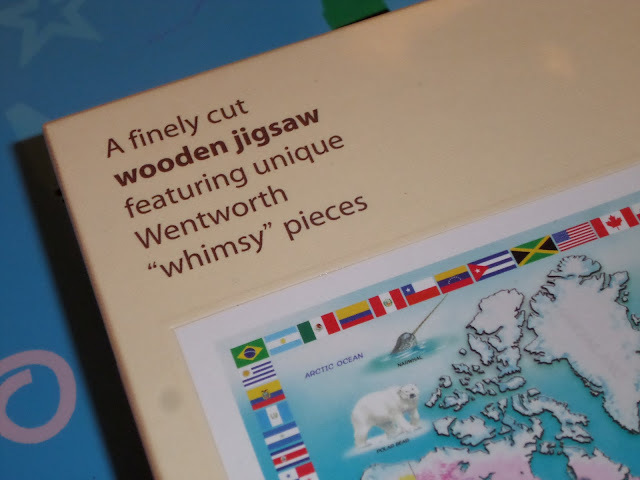 Wentworth have a vast range of wooden puzzles available for adults and children alike. With such an impressive range of unique puzzles with clever puzzle pieces their puzzles are sure to satisfy all even proficient puzzlers. 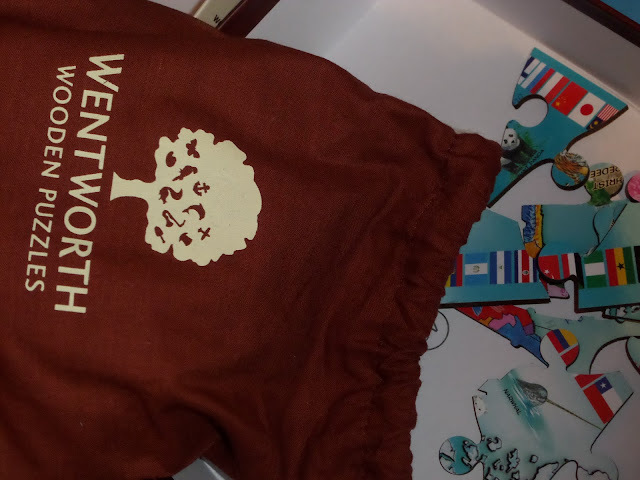 As well as their stocked puzzles Wentworth can also make personalised puzzles. They can turn your photographs, paintings or drawings into a puzzle and thanks to themed cut puzzle piece options and letter shaped puzzle pieces you can create a truly unique personalised puzzle for yourself as a lovely gift for loved ones.